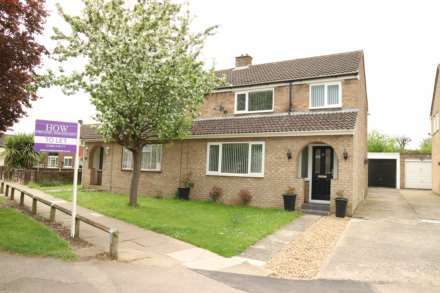 WALKING DISTANCE TO OLNEY HIGH STREET......NO UPPER CHAIN......Homes On Web are absolutely delighted to announce to the market this four bedroom detached property situated in the sought after market town of Olney. With its close proximity and walking distance to the high street which is home to a variety of independent shops, restaurants and amenities including a church, community centre, vets and football club, also with the sought after Ousedale school catchment, this property really does tick all of the boxes you would want for a family home. In brief this property comprises; Entrance hall, lounge, dining room, kitchen, utility room & cloakroom. On the first floor there are four bedrooms, one with an en suite and a family bathroom. Outside there is a rear garden perfect for entertaining and a driveway to the front of the property leading to a garage. This property really needs to be top of your viewing list to fully appreciate the accommodation on offer. Double glazed front door. Stairs rising to first floor accommodation. Radiator. Fitted two piece suite comprising; Low level WC and wash hand basin. Tiled to splashback areas. Radiator. Double glazed frosted window to side. Double glazed bay window to front. TV and telephone points. Radiator. Archway leading to dining room. Double glazed French doors leading to the rear garden. Radiator. Door leading to kitchen. Fitted with a range of wall and base units with complementary work surfaces. One and a half bowl stainless steel sink and drainer with mixer tap. Gas hob and split level electric oven with cooker hood. Tiled to splashback areas. Space for fridge freezer. Under stairs storage cupboard. Radiator. Double glazed window to rear. Door leading to utility room. Fitted with a range of wall and base units with complementary work surfaces. Plumbing for dishwasher and washing machine. Space for dryer. Wall mounted gas boiler. Door leading to cloakroom. Double glazed windows to front. Double built in wardrobe. Radiator. Door leading to en suite. Fitted three piece suite comprising; Low level WC, wash hand basin and shower cubicle. Tiled to splashback areas. Radiator. Double glazed frosted windows to front. Fitted three piece suite comprising; Low level WC, wash hand basin and panelled bath with shower over. Tiled to splashback areas. Radiator. Double glazed frosted window to side. Up and over doors. Power and light. Side door leading to rear garden. Driveway providing off road parking for approximately 3 cars.